The Star Wars: The Force Unleashed II demo is now available on Xbox Live for you to try. Don’t worry PlayStation 3 owners, you’ll be able to download a demo of Star Wars: The Force Unleashed II on the PlayStation Network from tomorrow. Star Wars: The Force Unleashed II is the follow up to the 2008 original. The events of the sequel take place seven months after the events of Star Wars: The Force Unleashed and year before Star Wars Episode IV: A New Hope. 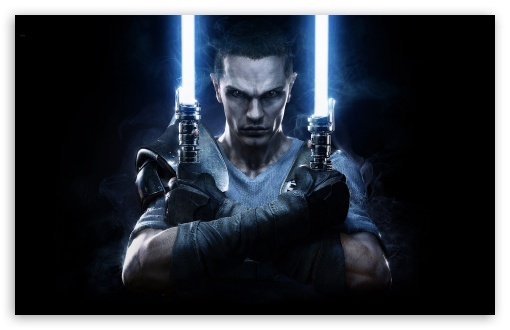 In Star Wars: The Force Unleashed II, the player once again takes the role of Starkiller, Darth Vader’s Secret Apprentice in the first game. LucasArts recently released a suitably cinematic trailer for Star Wars: The Force Unleashed II. It contains light saber wielding action, Starkiller, Darth Vadar, Yoda, Force Powers and Bobba Fett. You can see the Star Wars: The Force Unleashed II gameplay trailer below. Star Wars: The Force Unleashed II is scheduled for release in Europe on October 29th, for the PlayStation 3, Xbox 360, PC, and Nintendo Wii. In a strange twist, last month LucasArts revealed hat Monkey Island’s Guybrush Threepwood will be available in Star Wars: The Force Unleashed II. How the mighty pirate is unlocked remains unknown. For more Star Wars action, you can check out this trailer for upcoming MMO Star Wars: The Old Republic. So Train2Game, if you own an Xbox 360 gamer, have you got your hands on the Star Wars: The Force Unleashed II demo yet? If so how is it? Did you enjoy the original? And are you interested in Star Wars: The Force Unleashed II? This entry was posted in games, Train2Game and tagged LucasArts, Star Wars, Star Wars: The Force Unleashed II, The Force Unleashed II, Train2Game by Train2Game Blogger Team. Bookmark the permalink.